Hacking Wi-Fi is one of the best instruments that allow you to bypass the security measurement without even triggering an alarm to the administrator. It helps the hacker to get into the system and access all the files, folders, classified details and much more. Are you looking for tutorials or details regarding hack any Wi-Fi password free, well you are at right place. This whole content is about hacking any Wi-Fi passwords free and if these words are making your heart pumping faster, then keep on reading and learn how to hack into any Wi-Fi. Before moving on to the steps how to find a Wi-Fi password, let’s know the vital device that you would require. These are the essential tools that you would require to hack Wi-Fi passwords. Several advantages attract everyone to hack the Wi-Fi password for free. Well, for your information some of the significant benefits of Wi-Fi password hacking is mentioned below. · The best thing with Wi-Fi password hacking is that you can enjoy internet for free. No cost at all! So, there are vast benefits of hacking passwords. Would you like to know, how to do this! Well, let’s move on to the central part. According to experts if you have forgotten the password of your router, then reset it; if you don’t have a password of a router, then hack it. If you search for ‘how to find a Wi-Fi password’ then it would take you to various websites that promoted hacking tools and software but no one will tell you how to do it yourself without spending money. Do download them at your risk and try to break the password. Well, we are generous and thus sharing the below-mentioned tips hack any Wi-Fi without making a hole in your pocket. These are simple steps that you need to follow to hack any Wi-Fi password free. Though these are not authentic ways to get any password but it gets the work done in case you don’t have your own Wi-Fi network or the system admin is not letting you in the network. How to keep your network safe from hackers? When hackers finally access your website or any other online accounts, any additional vital information you have online is at risk. This can include your credit card data, home and work address, confidential business data and other personal information. Follow these steps to avoid any situation like this. Hack any Wi-Fi password free - Is it safe? Well, hacking is never a good idea to get passwords. If it is discovered that the password of the system has been in the black markets for you, then you may be in great danger. The best idea to have a Wi-Fi password is to ask. 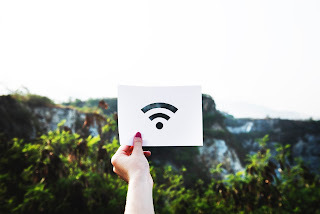 If you want to connect your device to a secured Wi-Fi connection, then just ask your friend or administrator for the password and then connect. However, if they refuse, then go for the second option, i.e., hack any Wi-Fi password free using the details mentioned above. But still, it is preferable to keep a safe distance from hacking, because it is almost like stealing! Well, till now you indeed have understood that hacking Wi-Fi doesn’t require rigorous technical knowledge and coding. These necessary details will guide you to hack any Wi-Fi password free, and moreover, it will allow you to access high-speed internet without even spending a penny. Happy hacking!